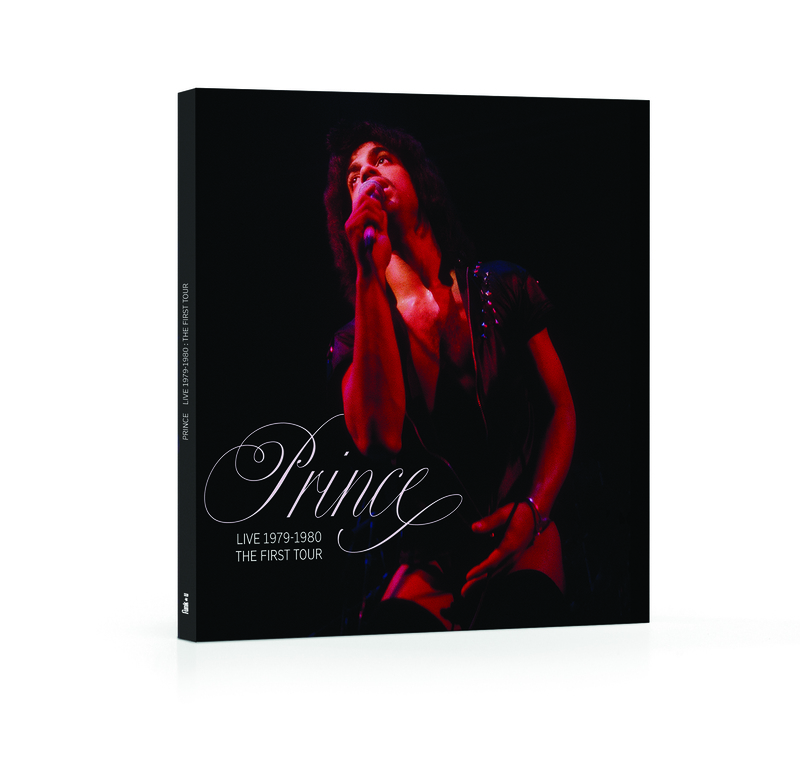 Out April 25th, The new limited collector book Prince Live 1979-1980 : The First Tour features rare and never-seen before pictures of Prince’s very first national tour shot in December 1st, 1979 at the Houston Palace and February 24th, 1980 at the Sam Houston Coliseum. The book also includes exclusive interviews and quotes from former band members. 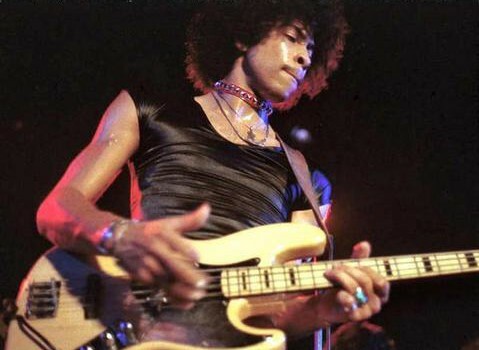 Here is the full Andre Cymone interview in which the bass player tells Funk★U about his personal experience of the Prince tour, Rick James’ love gun and his infamous plastic pants ! 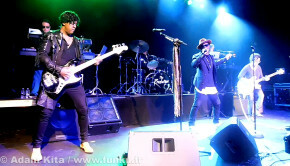 Funk★U : Was the Prince tour your first touring experience ? Andre Cymone : Yes it was… At first, it was very strange to wake up, look out the window and have no idea where you are. But I eventually got use to that. I’m not sure I was quite ready for the extreme enthusiasm, support and love we received while on that first tour, I never really got use to that reality. 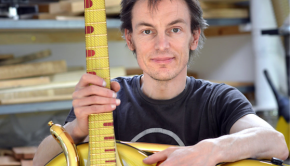 Did you rehearse a lot before going on tour ? Was Prince already very demanding about the band performance ? We absolutely rehearsed a lot, since we had up to that point been in a band together we had already had a very serious work ethic and I was very much a part of that work ethic. I personally don’t think I could have been in anyone’s band without a serious demanding work ethic, it’s what sets you apart from the rest. What was the repertoire of this first tour ? Can you remember tracks that were rehearsed but not played live on this tour ? We pretty much stuck to the business of promoting the albums that were out at the time, and the fact that we didn’t tour after the release of his first album we didn’t do to many songs from the first release. We rehearsed a few but ended up focused on the main ones like “Soft and Wet”, “Just As Long As We’re Together” and, I think, “I’m yours”. We would also develop an intro to set the tone for those first shows depending on how much time we would be given since back then were were opening for other acts as well as a closing composition. What was the audience like ? How did they react during the shows? In the beginning, they were tough because they weren’t there to see us, so the first two or three songs were rough but after about the third or fourth song you would see a dramatic change, it was almost always a trip to see the absolute reversal of the crowd going from hate to love, from “what the hell ?” negative, to “what the hell” positive. That really made those shows exciting and magical. How did you pick your stage clothes ? Your plastic pants are great ! (Laughs) For me personally, I have always been into fashion. My sister who studied European fashion and always kept magazines around the house was a big influence. She also made most of the stage outfits for myself earlier on and Prince before and during his early solo career. She made the infamous trench coats and the animal print vest and bottoms that Prince wore back then. As far as the clear pants, I found them in a shop in George Town DC and I bought all of them that they had in my size. Beyond that, I would go through magazines at the time and when I came across something that I thought would work for what we were trying to project at the time I’d either rock it or cut it out and show it to Prince or my sister and she would make it. I also had a favorite shop in soho called Trash in Vaudeville, a lot of the clothes we wore back then came from there. Was provocation a big part of the live act ? Absolutely… We would try different things, and if or should I say when they had an effect we would push it further to try to find the absolute edge. 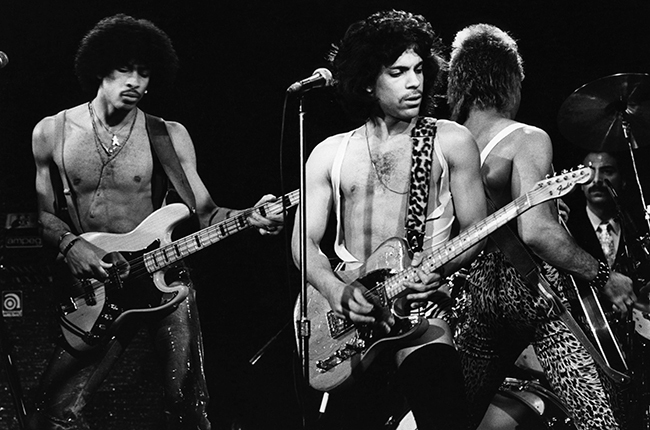 Our clothes, our hair, sexually taunting, overt provocative sexual behavior was first of all natural for both Prince and myself and I think Dez as well. We were all front men and it was definitely part of the entertainment factor. 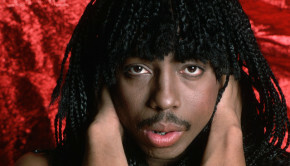 You supported Rick James on this tour. Was there any interaction with the King of Punk-Funk ? Prince later said that RJ was rather « condescending ». There was quite a bit or interaction, we were very focused on not just competing on a professional level but we always went into sharing the stage with other bands as a challenge and we never lost a battle of the bands. So I think they thought we were arrogant. We didn’t hang out much at all, and Rick and I got off on a bad foot the first time we met. He pointed a funk gun or love gun or whatever it was at me and I kinda lost my temper, Prince chilled me out. There were a couple other little incidents but we eventually worked it out and the tour ended up being just an absolute blast and I got to know Rick and really came to appreciated him as an artist. Other acts on this tour included Instant Funk, Kleer and Twennynine featuring Lenny White. Do you have any memories about their performances ? Twenntynine was my group, I loved those guys. They were amazing musicians and really good people. One of the things I remember wasn’t an actual performance scenario though there were many of those but they were just fun guys. One night after a show, Rick James’ bus was parked below their hotel room window and one of the guys, I’m not naming names but he filled a bunch of water balloons and began dropping on Ricks bus. The next day of course they blamed me but I have to say, it was a crack up because they always made such a big deal out of this little stuff. Can you remember some funny anecdotes from this tour ? 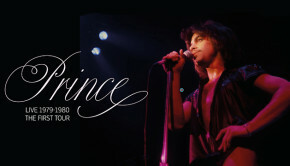 Looking back, what kind of memory do you keep from this first national tour with Prince ? I’m not sure there are words to describe the beginning of the realization of a dream. So many firsts. Flying around the country on airplanes everyday or every other day. Hotels, room service. Meeting really beautiful people. Feeling love for what we had been working for for so many years. So many false starts and missteps finally coming to fruition. What I remember most of all though are the faces of the fans who were so happy to see and hear us doing something outside of what everyone else was doing and letting us know we were doing the right thing. 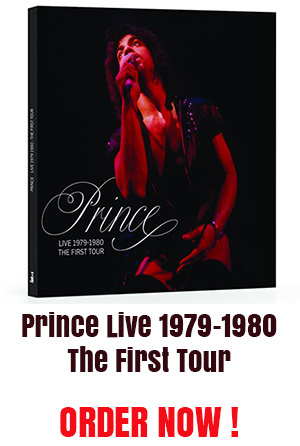 Prince Live 1979-1980 : The First Tour. Collector picture book available exclusively at www.funku.fr. Andre Cymone’s new album 1969 will be released in Europe on June 30th by the German label Leopard, a division of Jazzline / Delta.